With the summer movie season in full swing, DC came out with one of its strongest players to date. Superman returned to the big screen with “Man of Steel.” The big question was could this movie overcome the failings of past Superman films and deliver on the potential of the last sone of Krypton? The answer is a resounding yes. This is far and away the best film in the Superman franchise. It was a great intro to a new movie franchise. Superman has been reinvigorated much the way Batman was with his movie trilogy. The acting was very good in the film. 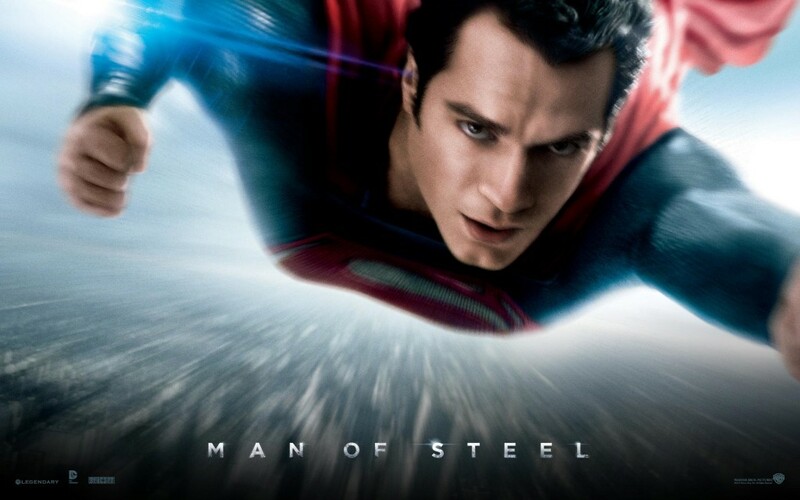 Henry Cavill does a brilliant job as the lead. he made both a good Clark Kent and a great Superman. Cavill did a good job in portraying the choices Clark had to make in discovering who he was and how to best use or not use his powers. Russel Crowe was brilliant as Jor-El. Probably the weakest acting in the film came from Amy Adams, who portrays Lois Lane. She did have a few good moments to shine in the film, though, so it wasn’t as bad as Natalie Portman in Thor. The first part of the movie takes place on Krypton. We get to see a good amount of Krypton’s culture, technology, and society. it serves as a good frame work for Clark’s journey in discovering himself and his heritage. The action is phenomenal, and also shows the type of carnage and destruction that is possible when Superman gets into a fight. When he’s off fighting and not always available to help, some of Metropolis’ own get a chance to shine and be heroes because of the hope that Superman inspires. Some of the ending may leave people wondering and has been a raging topic of discussion, but leaves an opening that can be explored in later films. There is also a bit of foreshadowing as we see Lexcorp logos all over the place, and at one point we see a satellite carrying the logo of Wayne Enterprises. Hopefully the next movie sees Luthor as its main bad guy. All in all, this was a great movie. Hopefully DC can keep this momentum going and get some of its other franchises going so we can see a Justice League movie done right.